Summer is really here, we are watering twice daily to make our thirsty plants look nice and healthy for you, potting up in temperatures of 32 degrees in the polytunnel and generally getting a nice healthy Devon tan, make the most of it I say! 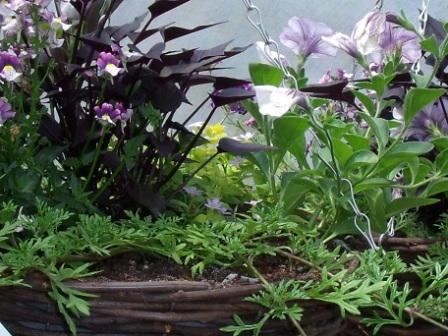 The baskets we did for the lovely folks of Bampton and Dulverton have gone out and are looking good out so we are feeling very proud of them and I will be posting photos of them as soon as I can get out there to do so. 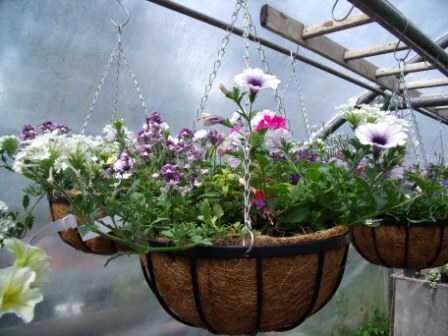 If you are still after basket plants we have some left on offer of 10 for £10 and we have made some ready to go as well as some pots for instant easy colour. 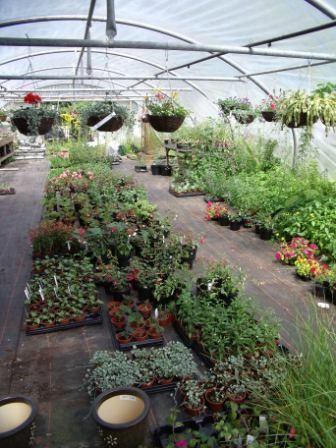 If like me you are disillusioned by the efforts of our nations football team or just can’t be bothered with the World Cup come on in and chose some plants for the summer garden instead of shouting at the TV! If you are looking forward to Wimbledon and enjoy a glass of Pimms while watching we have concocted our special Pimms hanging basket which has strawberries, cucumber and mint, all the ingredients you need for a perfect Pimms wit out the alcohol! Finally if you are making the most of the dry weather and are getting out the barbeque we are stocking Bulworthy Project Charcoal from Rackinford, its local handmade charcoal and it will be the best barbeque you ever had. 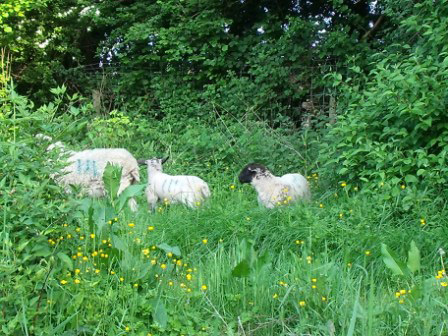 The last barbeque we did was when we had friends staying over, while chatting to one of the young sons he suddenly said ‘sheep’ I explained how there were sheep in the fields next to us, turned around to where he was looking to find these three strays munching at our plants! So we had much fun trying to herd them out of our garden but it would have been nice to keep them if they ate the weeds!